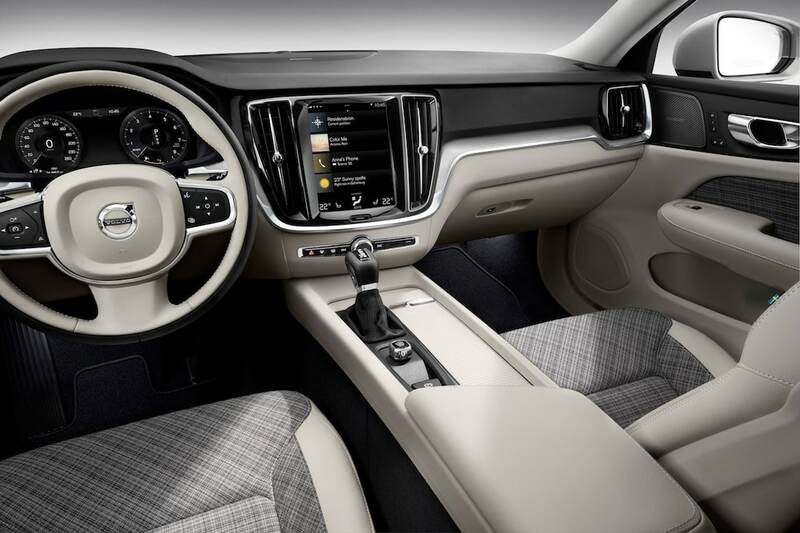 New midsize wagon offers luxury and comfort with Volvo safety. The new Volvo V60 offers stereotypical Volvo safety with plenty of performance and luxury. Selling station wagons to American motorists has been an uphill battle, maybe even tougher than selling ice in Alaska given the pace of climate change. 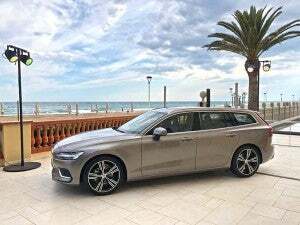 But Volvo, which throughout the years has made its share of iconic station wagons, is launching a new one, the V60, into the teeth of the onslaught of utility vehicles that has nearly wiped out the entire segment. The second-generation Volvo V60 is an impressive vehicle that demands attention even in face of the tsunami of new SUVs that boosted motorists of all backgrounds into the command seating positions. 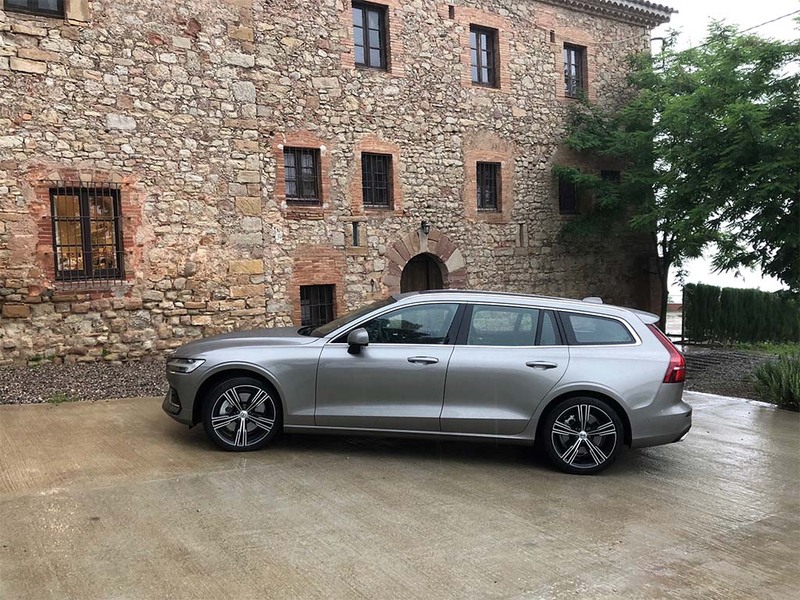 The V60 is handsome, nicely balanced and very well-equipped with some of the latest technology and safety features, such as a new system that can mitigate the force of a head-on collision. It also has plenty of power. The V60 I drove was equipped with Volvo’s T6, four-cylinder engine that produces 316 horsepower and 295 foot-pounds of torque from the all-wheel drive driveline, which also includes stop-start system that boosts fuel economy of 21 miles per gallon and 31 mpg on the highway for a combined rating of 25 mpg. The new V60 is truly a utility vehicle. Volvo bet on compact engines a few years back and the 2.0-liter, turbocharged engine, which also comes with a supercharger and direct injection to maximize the output, delivers ample power on the highway, at freeway on ramps and from standing stops at traffic lights. The 0-to-60 time is listed at 6.5 seconds and the top speed, which we didn’t approach on our test drive, is 155 miles per hour. Drivers can also select from four different modes, including comfort, dynamic, Eco and individual, and they also can adjust the steering to suit their driving style. Moreover, the V60 is deeply comfortable as I learned during what amounted to a facsimile commute through Los Angeles’ brutal rush hour traffic from Santa Monica up Mulholland Drive and down into the Valley and back to the Coast. Such a drive during heavy traffic is trying at the best of times but the V60’s spacious and quiet cabin, driver assistance features and navigation system made the drive less nerve wracking. The 2019 Volvo V60′s steering and braking responded gracefully under all conditions my driving partner and I found during the long drive and revised suspension layout worked well on all kinds of pavement. Prices for V60 haven’t been finalized but the outgoing model started at around $42,000. The new car for 2019 is also equipped with Volvo’s Pilot Assist that assists with steering, acceleration and braking when the system is activated. The 2019 Volvo V60 features clean lines and handsome exterior styling. Pilot Assist is what is known as hands-on-the-wheel semi-autonomous driving system where the driver has to stay alert and keep an eye the road. But the system allows the driver to take their foot off the peddles, helping alleviate some of the stress that is inevitable in day-to-day commuting. Beyond Pilot Assist, the V60 also is equipped with Volvo’s well regarded City Safety System which includes Collision Warning with Full Auto Brake, pedestrian and cyclist detection even on dark roads as well as a blind-spot detection and a system that helps protect the occupants in accidents where the vehicles runs off the road and includes a boost to steering system when the driver elects to maneuver around an accident. In addition, the system has been upgraded to protect the vehicle in a head-on collision by braking immediately before the impact, reducing the force of collision even if the other vehicle doesn’t stop. Long noted for attention to safety, Volvo also paid close attention to the construction of V60 Wagon. The visibility from the driver’s seat is excellent and the passengers in the rear seat also enjoy good visibility. The V60 wagon's climate controls and other functions are routed through a tablet-sized touch screen. 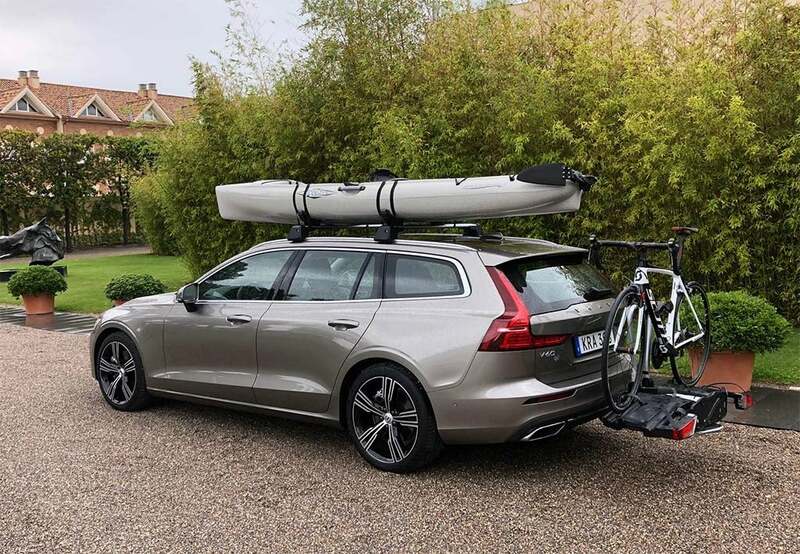 The body of 2019 Volvo V60 is designed to maximize the energy dissipation in the front and rear crumple zones to and improve the protection around the driver and any passengers. To add strength and reduce weight and fuel consumption, a significant amount of ultra-high-strength boron steel, producing an extremely strong cell around any occupants in all types of collisions and accidents. Volvo’s never seem flamboyant and the exterior styling, while handsome and direct, maintains that tradition with the deep character lines down the sides, sharply tailored around the LED headlamps and grille. The rear lift gate is also distinctive and tailored to fit in with the rest of the wagon’s design. To me, the Volvo V60 seems like a very well equipped, smartly designed, powerful vehicle that can do everything an SUV or crossover can only except stand tall. I think people who see a V60 and actually drive it will enjoy its combination of style, technology and performance. But it also could be that the cultural moment that made station wagons so popular once has passed. This entry was posted on Tuesday, October 16th, 2018 at and is filed under Automakers, Automobiles, Business, China, Europe, First Drive, Markets, Reviews, Sales, U.S./North America, Volvo. You can follow any responses to this entry through the RSS 2.0 feed. Both comments and pings are currently closed.